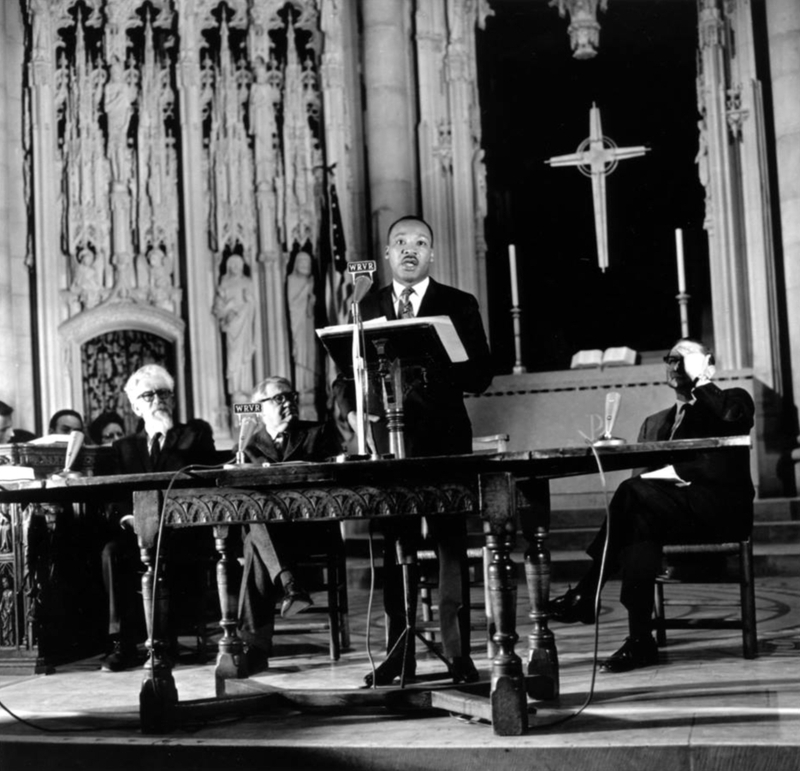 Almost fifty years ago Martin Luther King gave a major speech against the Vietnam war and US militarism in general. In that speech he tied together our militaristic and repressive response to the movements of national liberation throughout the world that were threatening certain economic interests. He called for a revolution in our values from an orientation toward wealth and physical things toward a concern with others and particularly the poor. He warned that history did not stand still, that if we did not seize the opportunity, the tides that seemed to be rising against injustice might recede. Looking back we can see that his warning was all too true. The lessons of the movement against of the Vietnam War were not learned by us. We allowed ourselves to be mesmerized by the manufactured drama of Watergate. We allowed our revulsion over the Vietnam War to be labeled our “Vietnam Syndrome”, something to be cured by another more successful First War against Iraq. Now fifty years later we are in darker times. The military industrial intelligence complex, the national security state, the corporations and their media are all more entrenched. We find ourselves living inside a monster to which we have a parasitic relationship, a monster which progressively threatens the environment upon which life on our planet depends. January 18 was Martin Luther King Day. Is this really a day of celebration of Martin Luther King, Jr.? Or is it a day designed to further consign him to history and truncate his message? 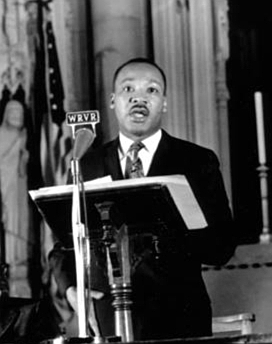 In an effort to explore this, let’s go back to his speech at Riverside Church of 49 years ago on April 4, 1967, a year to the day before he was assassinated, and, re-working it, take from it what we can for today. Perhaps this can help us come closer to truly resurrecting Martin Luther King, Jr in ourselves. In the following 2016 re-work, Dr. King’s original words are set in italics and bold.